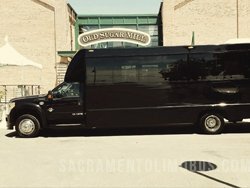 Sacramento Limo Bus - THE BEST LIMO BUS SERVICES FOR ANY EVENT! - WEDDINGS! Welcome to our winery tour information guide! If you've landed upon this page, perhaps you are planning your first trip to Napa Valley? Are you looking to make your wine tasting journey a truly unforgettable experience in this beautiful region? Well by being here you are making a wise choice. 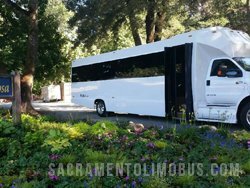 The first step in planning your wine tasting tour is lining up your transportation arrangement, after all, you and your guests will be drinking. 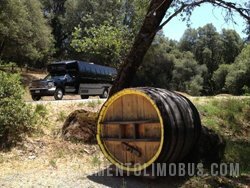 We are in the business of making wine country memories and eliminating the hassles for you. 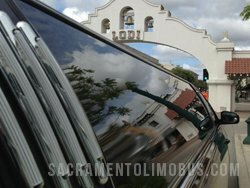 Our drivers are extremely familiar with not only Napa Valley but the individual wineries and can be a great resource to utilize for any last minute alterations should, god forbid, any of your plans go awry, your driver may just be able to save the day. 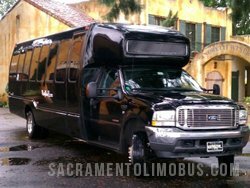 As a premier luxury transportation service we are experts at providing the best service possible no matter your group size or event. 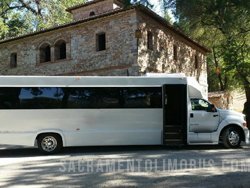 Being a wine tour, you can guarantee that we have something to accommodate your group in the most convenient fashion possible. Being located here in the heart of wine country allows us to keep our finger on the pulse of current events and all the hottest trends in the local wine industry. 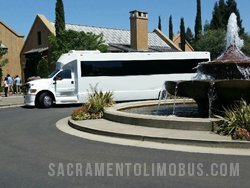 We have built up a first class reputation throughout Napa Valley and strive to not only keep ourselves to the lofty standards we have set but also to exceed them. If for any reason we don't live up to the expectations of our guests we want to hear about it so we can make things right and make sure that measures are taken to prevent any issues from recurring. However, you'll find that our service is impeccable each and every time. Our customer service is out of this world! 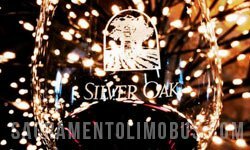 As an introduction for those who have never been on a tasting tour before or perhaps are new to the world of wine in general, you may then benefit from setting aside a couple of days to experience the region and build a foundation of wine knowledge but visiting some of the most iconic Napa Valley brands and historic landmarks. While our returning guests and connoisseurs may prefer to follow the road less traveled searching for hidden gems. Overall, the best way to build solid knowledge is by combining the larger historic estates and the boutique family-owned wineries for a complete learning experience. This also allows guests to experience a broad range of the valleys geographical layout. The reason we recommend two days is to allow yourself time to appreciate the complexities of the region and avoid wine fatigue. Take a look around here and enjoy the wisdom we've imparted on you about natures finest nectar in the beautiful Napa Valley region. Upon completing your very first tour you will be excited to plan your next trip. Planning a trip to your favorite winery will be something you look forward to each and every time! the It's never the same tour twice, repeat guests come back year after year (if not more frequently) to keep their personal wine cellars well stocked and ever increasing in volume. Not to mention, there are always new wines being brewed up and innovative choices to peruse. We look forward to working with you and helping you reach the next level of becoming a wine connoisseur. 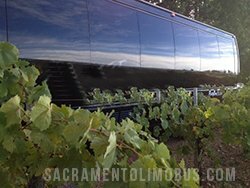 We've taken care to provide some more information on our favorite wineries in the area, be sure to check out our fleet of impressive vehicles, as well! Bourassa Vineyards is as special as it gets if you're looking for a premiere experience. 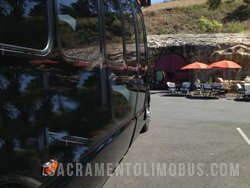 This winery is located in an industrial complex near the downtown area, so the location is already a unique feature. The hospitality offered here goes beyond compare, and the Reserve tasting offers 6 wines as well as 2 barrel tastings. Vic is a great educator on the wine making process and everything that goes into it. All of the wines, even the pricer one, is a great option for any meal or time of day. The Chardonnay is noted as tasting especially fresh and delicious. The gorgeous property at Fortunati Vineyards is certainly what is going to draw you in, time and time again. The wines here are always limited production, so you're going to want to get your hands on whatever you can. You can't go wrong with purchasing some olive oil, here, either, as it's always freshly pressed. There is a bang for your buck to be discovered here, and the private tastings are one way to take advantage of that. The wine club only delivers twice a year...so the pressure is on, much like the fermented grapes that you find yourself drinking! McKenzie-Mueller is a great winery to check out while perusing the Napa Valley region. Whether you're a fan of reds or whites, there's something here for you to enjoy. The hosts here are all knowledgeable about the entire process, from start to finish. Trust that no stone will be left unturned when it comes to bits of knowledge about the wine making process. The Chardonnay, Malbec, and Cab-Franc are all delightful options for you to consider when you're making your choice about which bottle to actually bring home to enjoy. Our favorite part is the 2014 earthquake damage area...you'll know what we mean when you see it! This winery is a place you're going to have to see to believe. The rolling hills are obvious from all of the windows here, and the hosts & hostesses make it clear that they love educating the public about their wine making process. The red wines here are out of this world, while the lighter options are always crisp and clean. The host, Zack, is very fun, and makes the entire tour something to remember. The chocolate sauce is heaven in a bottle...infused with wine, and perfect on desserts like ice cream and smores. We're confident that you're going to have a memorable tasting experience here.